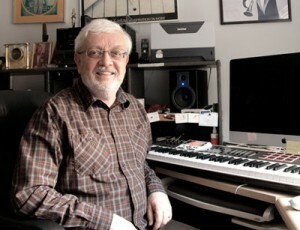 Gary Lindsay is an arranger/composer, performer, educator and author. His degrees include a Bachelor’s in Music Education from the University of Rhode Island and a Master’s in Jazz Performance from the University of Miami, where he is a full-time professor. As an arranger/composer, Gary has worked with Maynard Ferguson, Michael Brecker, Pat Metheny, Jose Feliciano, Natalie Cole, Gloria Estefan, Arturo Sandoval, The Florida Philharmonic, The Airmen of Note, The South Florida Jazz Orchestra, The Atlantean Driftwood Band, The Miami Saxophone Quartet, etc. In performances, Gary has appeared as soloist with the Florida Philharmonic and the Naples Philharmonic. He has performed in pit orchestras for performances of “West Side Story,” “Porgy and Bess,” “The King and I” and dozens of other musicals. On woodwinds, Gary has performed with Frank Sinatra, Tony Bennett, Mike and Randy Brecker, Jaco Pastorius, Stanley Turrentine, Natalie Cole and many other pop and jazz luminaries. Gary composes, arranges and performs on the Alto Saxophone with the Miami Saxophone Quartet and the South Florida Jazz Orchestra. He is a recipient of a National Endowment for the Arts award, a Chamber Music America grant from the Doris Duke Foundation and received a Grammy nomination in arranging for “Cherokee” from the Arturo Sandoval CD I Remember Clifford. Professor Lindsay is the Director of the Master’s in Music program in Studio/Jazz Writing and the Doctoral program in Jazz Composition in the Frost School of Music at the University of Miami, where he has been teaching since 1980.